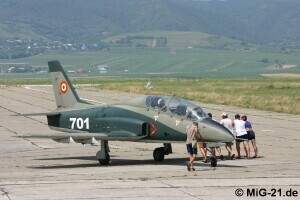 On Romanian Air Force press tour 2007 the author visited the air bases of Câmpia Turzii, Bacău, Feteşti and Mihail Kogălniceanu. 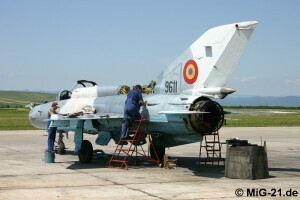 In preparation of the Romanian Baltic air policing mission in Lithuania numerous aircraft were overhauled. 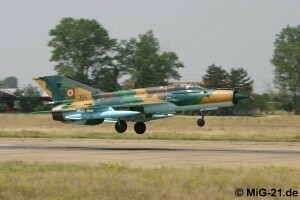 MiG-21 LanceR B prior touch-down after weather check flight. 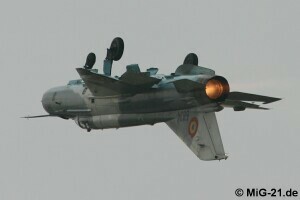 Take-off of a LanceR A with drop tanks. 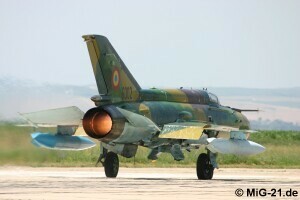 In Câmpia Turzii the aircraft are lined up for refueling too before they are towed to the flightline. 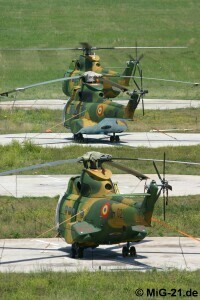 Three IAR 330 of the helicopter squadron photographed from new-built Tower. 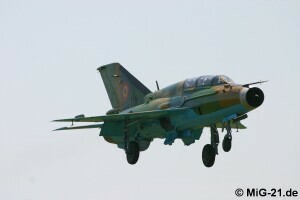 ... while IAR 99 Soim act as advanced trainers. 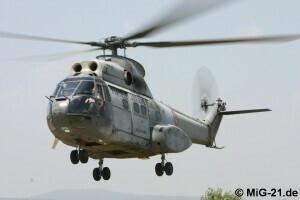 The IAR 330 based in Bacău mainly undertake humanitarian missions. 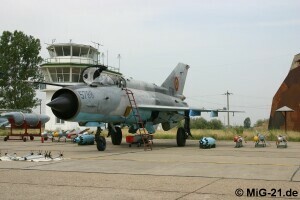 On the occasion of the visit again a static display including armamente was shown in Feteşti. 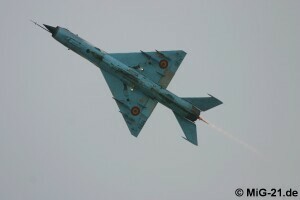 ... one LanceR A and C each of QRA took off for displays. 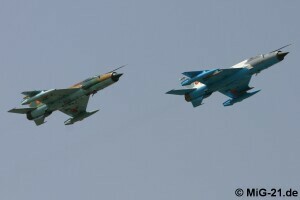 ... was followed by a second one from Grupul 86 at Feteşti. 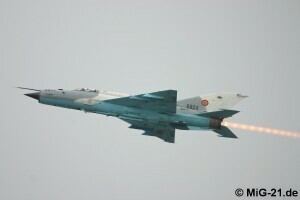 Both displays took place against the backdrop of an approaching thunderstorm making the afterburner flame clearly visible. 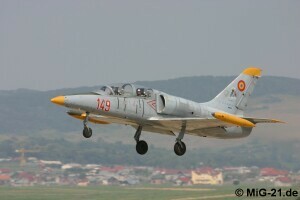 The author thanks Captain Commander Liliana Tanase and members of the Forţele Aeriene Române who made the tour possible.